D&K laminating films and adhesives are ideal for label applications of all types. D&K’s laminating films are compatible with paper, film, and synthetic stocks to produce durable labels that are suitable for even the most challenging environments. These films offer a robust finish to protect and enhance labels that communicate a positive brand message. Label lamination films are available in a wide range of film types and thicknesses. Label applications can be finished with standard overlay film products or with printable laminating films that accept variable data such as bar codes and other product identifiers. Polyester (PET) laminating films offer a tough surface that resists stretching and scratches. Polyester laminating films from D&K are available with added UV inhibitors to help preserve labels and prevent fading. Polypropylene (OPP) laminating films are an economical solution for general label applications. Polypropylene lamination films are softer than polyester products and are ideal for labels that are applied to curved or angled surfaces. Vinyl (PVC) laminating films can be used outdoors for labels that are exposed to sunlight and adverse weather conditions. Vinyl is the most conformable label laminating film that can be used with complex curves found on objects such as appliances and hardware. Vinyl laminating films are also recommended for use with printable PVC label stocks. Labels are typically manufactured using pressure sensitive laminating films and adhesives. Many pressure sensitive laminating films are water-resistant, making them ideal for beverage labels and other label applications that are exposed to moisture and humidity. Pressure sensitive laminating films feature a protective release liner that must be removed before applying on labels. D&K’s thermal and SuperStick® label lamination films can save you over 30% when compared to pressure sensitive laminating films. These products are self-wound and do not contain a release liner that must be removed and disposed. D&K manufactures SuperStick® label laminating films that are compatible with digital printers of all types, including the latest HP Indigo® digital print systems. 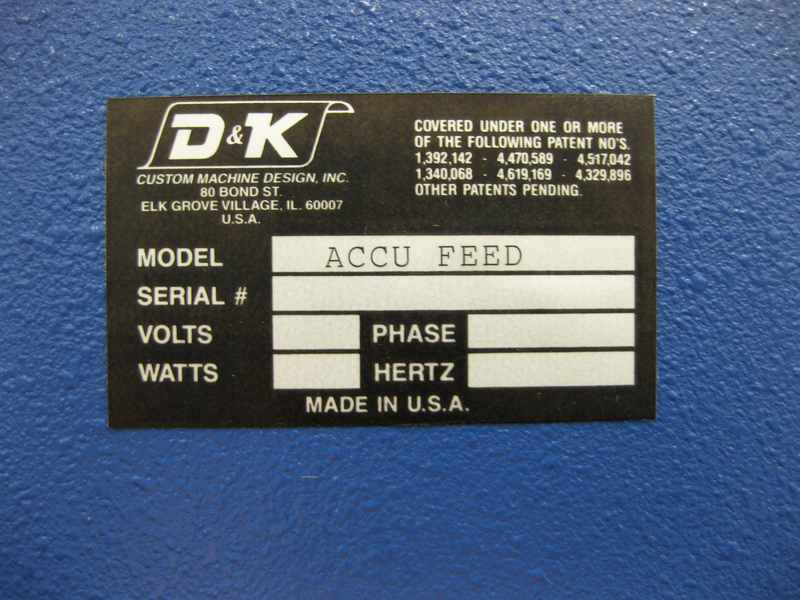 In addition to label laminating films, D&K also manufactures label finishing equipment. D&K’s automated laminating systems offer high-speed label finishing with minimal labor. These systems can be customized to fit into nearly any workflow to meet unique label production requirements. Lamination systems are available with sheet feeders or can be configured for printed roll stock. D&K lamination stations can be placed directly behind many digital printers such as Xeikon for an inline finishing solution. Laminators can also pair with roll unwinders and rewinders for roll-to-roll production. Label lamination equipment can be manufactured to process both thermal and pressure sensitive laminating films. Optional take-ups are available on most D&K laminating equipment to remove and store release liners from pressure sensitive products. D&K label finishing systems can then drive laminated label stock into a cutter/ sheeter or directly into a die cutter to produce completed labels ready for your customers. Click here to contact a D&K for more information about label lamination films and equipment.